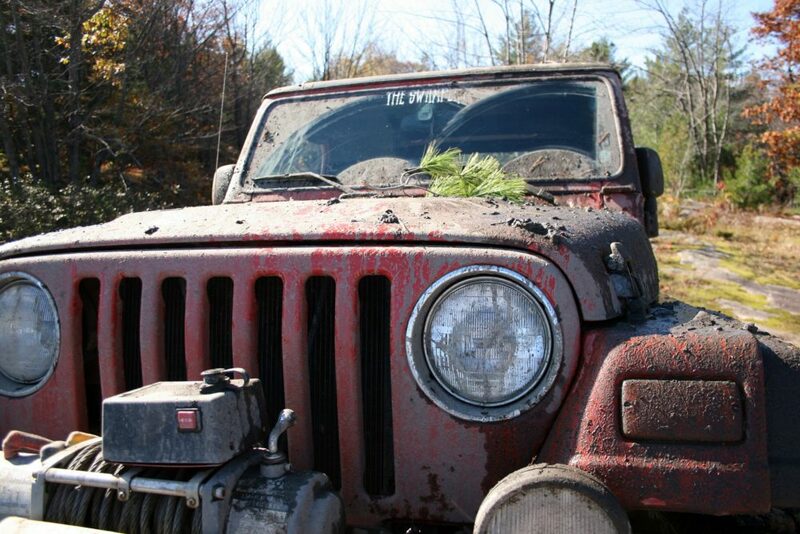 Before you start exploring Jeeps for sale on Craigslist, read this first! Buying a car is a nerve-wracking experience — no matter how you do it. But the number of ways for things to go sideways when Craigslist is involved have been well-documented. With so many used Jeeps out there, dismissing a huge market like Craigslist seems a foolish thing to do. You can come away from a Craigslist Jeep transaction happy — I’ve done it before — and there’s no doubt the website would be out of business if all the sellers were shady. I’ve also gone through some less-than-savory ordeals with vehicles purchased off Craigslist. I’ll share some of those stories now, in hopes that you can benefit from my mistakes. While I’ve never personally fallen victim to one of these Craigslist car scams, I have absolutely spotted them! I’ve even seen people posting the names of online scammers — to prevent others from being scammed. Spend enough time on Craigslist and you’ll develop an eye for it. And remember, if it looks too good to be true, it probably is. Here’s how to buy a car on Craigslist without getting scammed. Stop the train. You have no idea who installed those mods and what their quality of work is like. Plus, you can bet the seller has factored their value into the sales price. That means you’re paying extra for a Jeep that could be rife with mechanical gremlins, just waiting to come out and play. I once bought a Jeep from a friend of a friend. Because we had a mutual acquaintance, I let my guard down about the fact that he’d installed new wheels and tires. After a quick test drive, I bought the Jeep, only to find out shortly thereafter that it had an awful rub and would need completely new wheels and tires to drive correctly. Needless to say, it was a mistake I learned from. Another time, I was looking at a Jeep from a seller who listed everything he added with the price of what it cost him. At first I thought this was helpful — until I started doing my own research. The first thing I saw was that he installed a new gas tank, and this apparently cost him $300. A quick search found that it really only cost about $100 for the exact same part. And here he was acting like I was getting a good deal from it! Here are the 10 most popular Jeep mods you should inspect closely. As with any car, there are specific issues that are common in Jeeps. And you’ve probably got a price range that you want to stay within and an idea of what your ideal Jeep would cost to own. Try to reconcile these things by making a list of the issues you’ve got to avoid in your Craigslist Jeep purchase. A good place to get educated on these types of issues is buyers’ guides. Fortunately, there are plenty of Jeep buyers’ guides out there for the Wrangler. After my first bad experience, I got smart and studied up before going Jeep shopping the second time (years later). You’ll come away knowing the difference between the Sport, Sahara and Rubicon trim levels, why 6-cylinder Jeeps are preferable to 4-cylinders, and much more. I know enough about a Jeep to check and see whether the oil is fresh and it’s running decent rubber. But when it comes to peace of mind, I can’t say enough about the benefit of getting a professional inspection by a good mechanic. Jeeps are not overcomplicated cars, so you shouldn’t have trouble finding a shop to inspect the vehicle for you. An inspection will range from $100 to 200, and it’s the best money you’ll ever spend on the Jeep. Consider it preventative maintenance — do not skip this step! Jeeps are robust vehicles. I’ve enjoyed several of them. But one downside to purchasing a used Jeep is that of all vehicles — a Jeep is likely to have seen some trail time. A Craigslist Jeep that was completely abused may have the cosmetic appearance of one that just got a dusting from some easy trail running recently. It’s very difficult to tell. 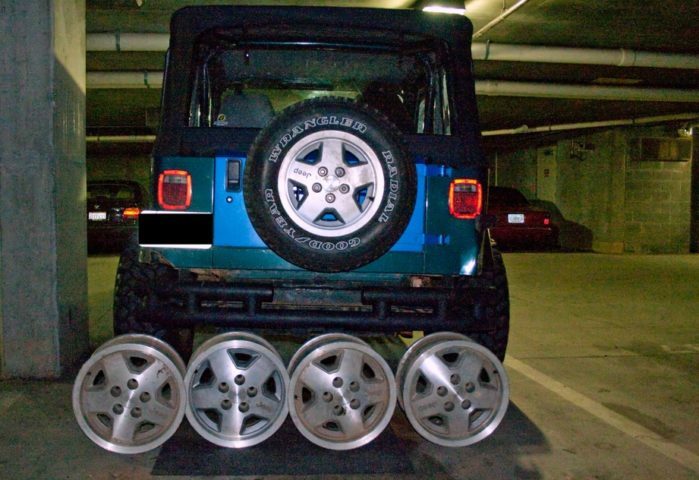 So you need to have your guard up when you buy a Jeep — on Craigslist or anywhere. Here are 6 things to look for before buying a used Jeep. My advice to you, as a Jeep buyer, is don’t forget you’ve got options. If someone won’t let you inspect a vehicle or you’re put off by the mods they’ve done, take your money elsewhere. Be uncompromising — there are tons of Jeeps for sale out there. Getting burned on Craigslist is a high price to pay for being impatient.